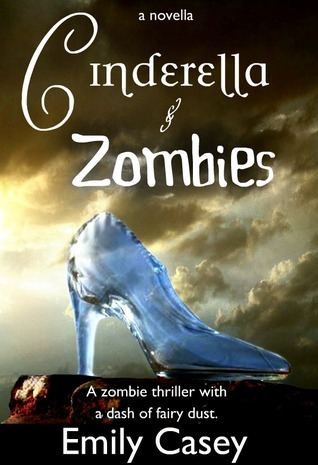 What happens when you take a classic fairy tale and add a few zombies to it? Cinderella goes from being a pretty-faced pushover to being the best zombie-slayer in the kingdom. But will that be enough when she’s decked out in a ball gown and glass slippers? I loved this quirky take on Cinderella. I was a little worried that it would be like pride and predujice and zombies. But it wasn’t. This was unique re-telling of Cinderella’s story. She is no longer a girl that we should feel sorry for. Cinderella is tough, skilled and smart. She knows everything there is to know about the undead. Think for Resident Evil than Disney when you picture this heroine. I strongly recommend this short zombie story to fans of the genre. It was fun! The writing is entertaining and never dull. Emily Casey did a good job of giving the reader the right amount of information in this novella. Cinderella is just the right amount of kickass without being over the top. The Prince is not just a pretty face either and matures quite a bit in a short amount of time. The zombies are awesome. They are allergic to fresh vegetables. Not sure about fruit before. I have never encountered this weakness in zombies before. The action scenes are a little scattered but were still entertaining. I missed the evil step mother. *I recieved a free copy of this book from the author for an honest review.